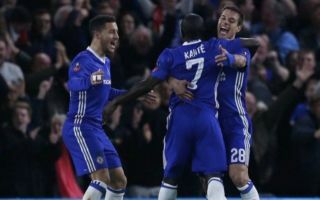 Given the crucial and continued influence he has for Chelsea, it comes as no surprise that the Blues are reportedly eager to offer N’Golo Kante a new contract. Even despite a role change under Maurizio Sarri so far this season, the 27-year-old has remained an ever-present under the Italian tactician as he is yet to miss a single minute in the Premier League. Putting aside the fact that he was fundamental to both Chelsea and Leicester City as he won back-to-back Premier League titles, he also won the World Cup this past summer with his trophy collection making the argument itself as to how crucial it is the Blues keep hold of him. They remain in a strong position already given he has three years remaining on his current deal, but according to The Mirror, with Paris Saint-Germain linked with prising him back to his homeland, Chelsea have put an offer on the table to extend Kante’s stay at Stamford Bridge. Although they continue to dominate domestically having already opened up an eight-point lead at the top of the Ligue 1 table after just nine games as they aim for a sixth league title in the last seven years, PSG continue to fall short in Europe. Defensively frail, as seen in their trip to Anfield to face Liverpool last month, perhaps Kante could be the missing piece to ensure that they can compete in the Champions League and so it’s understandable as to why he’s being linked with the French giants. However, as noted in the report, Chelsea seemingly have no desire to let him leave and rightly so, and they’ll certainly be hoping that he puts pen to paper to commit his long-term future to the club.